Thanks to this website, I’ve tried A LOT of stuff. Some good and some not so good. But when someone asks me for my favorites, I only share what I think are the BEST. 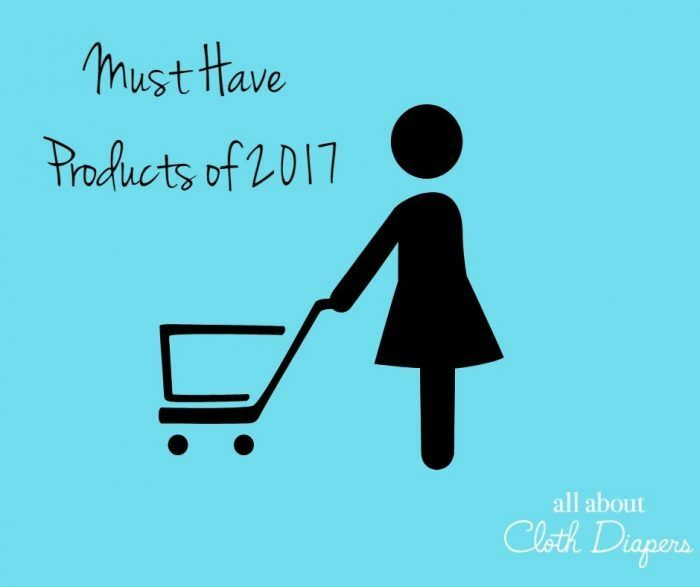 Check out my top 10 list of must have mommy and baby products of 2017! Love this stuff! I actually keep extras around the house to give as gifts to anyone I know with kids. I couldn’t get my in-laws to use cloth diapers for their new baby, but I did get them hooked on Earth Momma Angel Baby Bottom Balm! We use it at every diaper change to keep rashes away. It also works as a great barrier at night to keep the moisture (and ammonia burns) off your baby’s bum. What I love most about this stuff is that it’s not just for butts! It is awesome at soothing sore sunburned skin. Any small cuts or scrapes also get Earth Momma Angel Baby rubbed on them. Nicks from shaving…even bug bites. We use this on everything. It’s on our cloth diaper safe rash creams list! There are a couple of things I love about this product. First, it is made in the USA (which means a lot to us). Second, it contains no synthetic fragrances or preservatives. Third, did I mention you can make 2 GALLONS with just an 8 oz bottle of Baby Wipes Juice? That will last forever! Really. Norah has needed two inserts in her day cloth diapers since she was 11 months old. If the diaper I’m using didn’t come with amazing absorbent inserts, the second is usually a Thirsties Hemp Insert. Thirsties Hemp inserts wash easy, are very trim and super absorbent. They are also made to last. I’m on year 4 with mine! They are also made in the USA and are sold at a great price. All things that I really love! What can I say…I love these. I was not a prefold user until I tried them. I still don’t like prefolds, except these! I have about 15 of them now and I use them in all my covers, I’m lazy so I just trifold and lay right in. 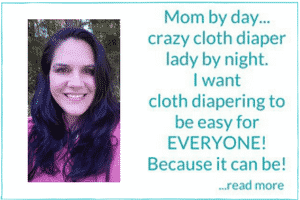 You can stuff in pocket cloth diapers as well. They are good as part of a night time solution (you would need two for night). They are the trimmest ‘inserts’ I have. Read this post and see how absorbent they are compared to other brands and inserts. Oh, I almost forgot to mention…Geffen Baby Jersey Hemp prefolds are SOFT and they stay that way! Our washers clean the grossest stuff we can throw at it. Over and over again. But how often do we return the favor? Really, it will clean better if you do a bit of maintenance once in a while and THIS is the easy way to do that! Either use this with the cleaning cycle or the longest hot cycle the machine has. It will be like brand spanking new after you are done! Want to give your cloth diapers a good, deep cleaning? Or finally remove that hard water mineral buildup and ammonia smell? This is the ticket. It’s easy to use and effective. Want to know more? Check this out! Ask me about a good wet bag and every single time I’ll say Monkey Foot Designs. No leaks or stink ever. They are so good even NASA uses them at the International Space Station. What else is there to say. Go buy some! These are the Maserati of fitted cloth diapers. They are so well made. So absorbent. The night night, their night fitted, holds the top spot in my absorbency tests. Other things I love…they are smooshy, white cloud soft. Made in the USA. Holds up super well over time. You’ll get your money’s worth and then some! 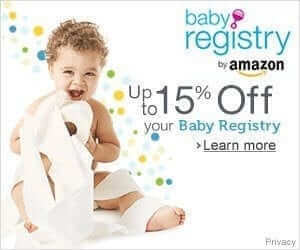 Over 35 shops and manufacturers and dozens and dozens of coupon codes for cloth diapers, accessories, wool, and all things natural! Up to 30% off, BOGO’s, and freebies that you won’t find anywhere else! I may be a bit biased on this, but I think it’s amazing and worth checking out! What have been your favorite products this year?